Robert commissioned this essentially ‘new’ MN frame from Doug Pinkerton Restorations. 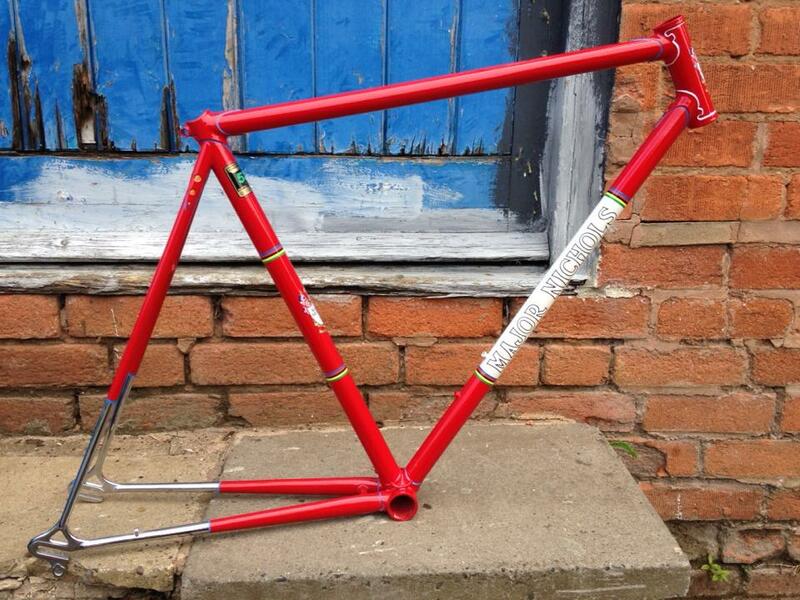 The frame triangle was rescued with a number of others from Major’s Durban Road shop after it closed. 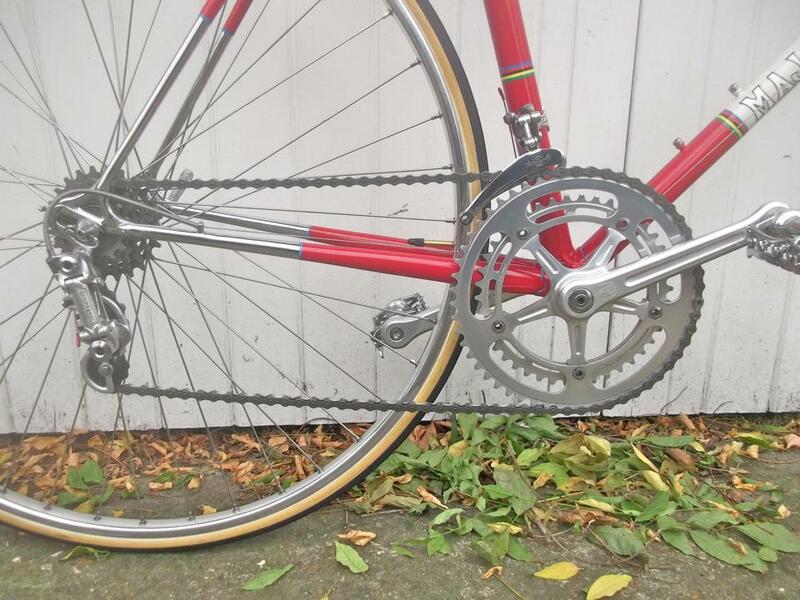 Essentially the front frame triangle itself is typical of Major’s high end early 1970’s work. 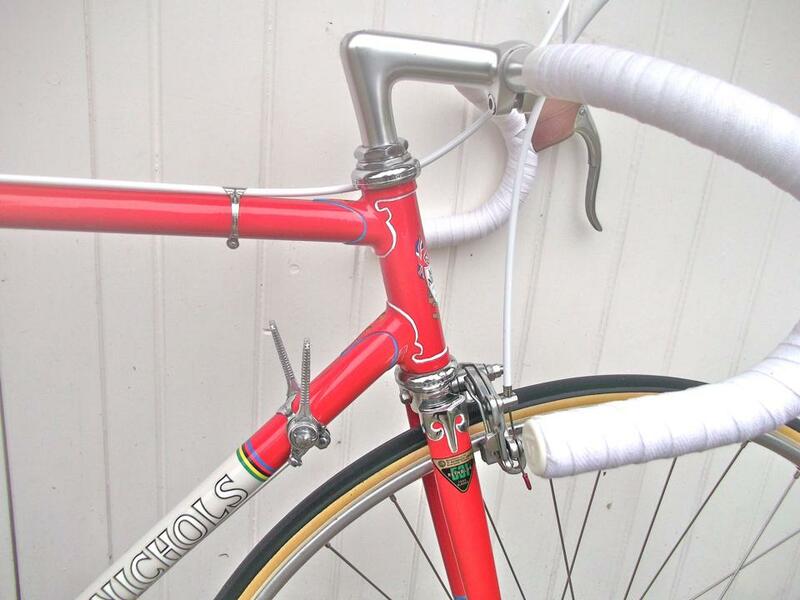 The shot-in seatstays are very rare in Major’s output. We understand he did not like shot in stays and only built one or two, probably under protest! As a result his is one of a very small number we know to exist and that we can account for to date. I think even Major must have liked this build as it was kept in store. The lugs are a Prugnat long spearpoint model from the late 60’s and early 70s which is found less frequently than the more regularly used 62D and S series. Thes have been drilled. The chainstay bridge is curved and reinforced seatstay is straight. 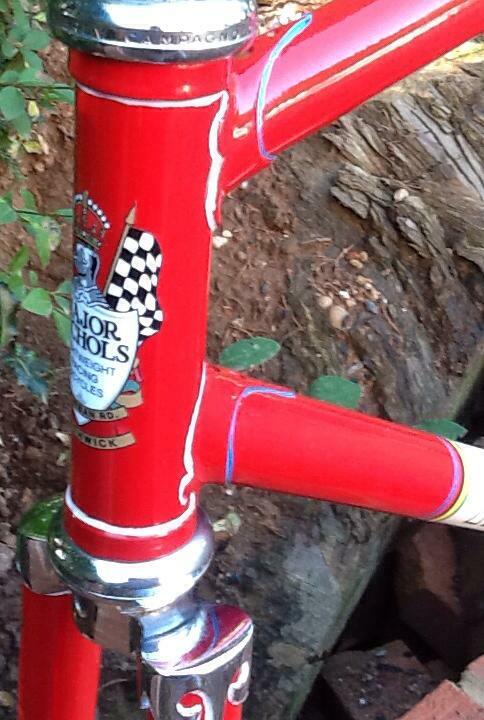 The forks are custom made for the frame by Doug. The unknown sloping fork crown is not typical of Major’s parts box but is particularly attractive and fitted with appropriately shaped blades. 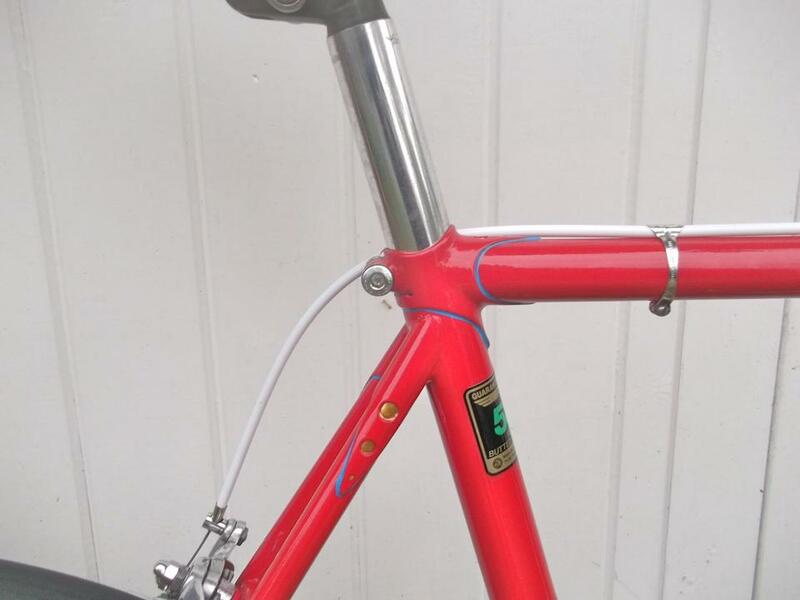 Major formed the rear triangle with shot in stays in pretty fillet brazed sheaths onto the top tube below the seat tube lug. 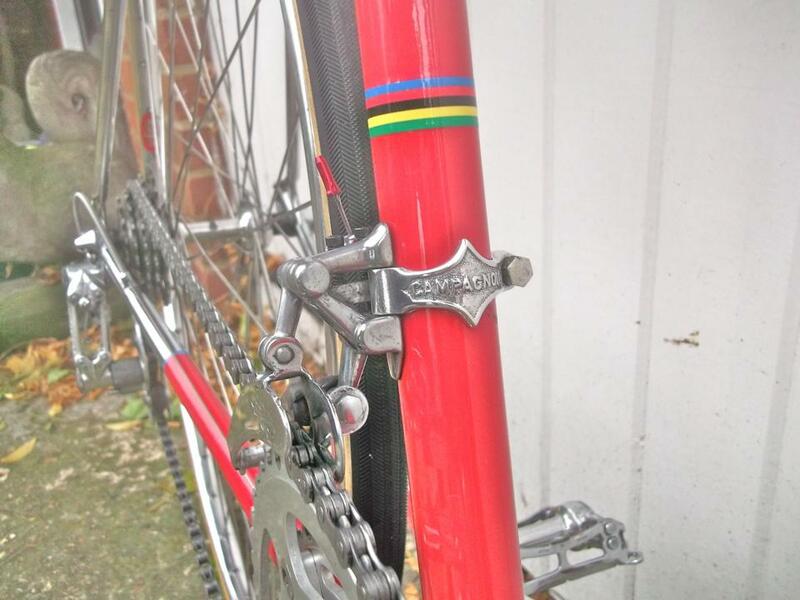 Doug has added Campagnolo long rear dropouts. The rear quarters and fork tips and crown have been chromed. The only braze-ons are typical Major bottle cage bosses, BB derailleur guides and chainstay cable stop. The frame is finished in pillar box red, a much favoured Major colour, with light blue and white lining and gold in drillings. 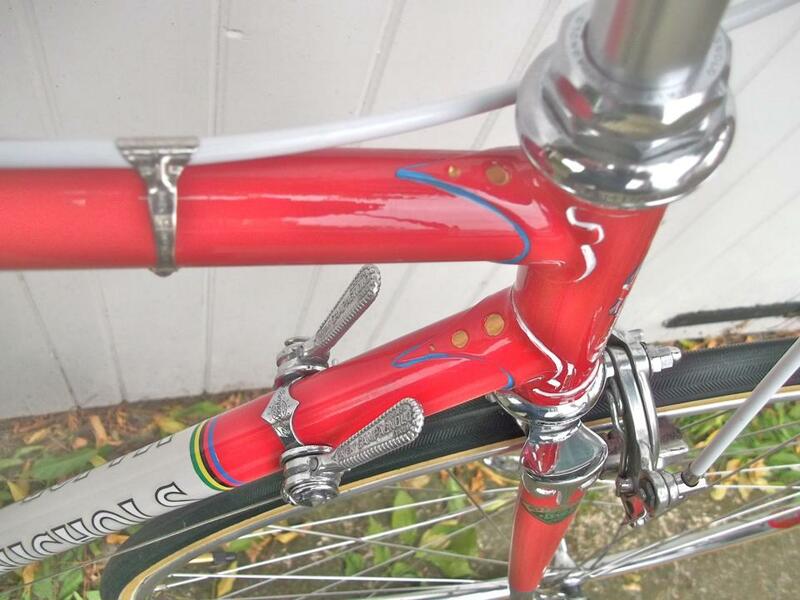 The forks and rear triangle are part chromed and the fork crown fully chromed. Another beauty now beautifully fitted out and ready for the road. 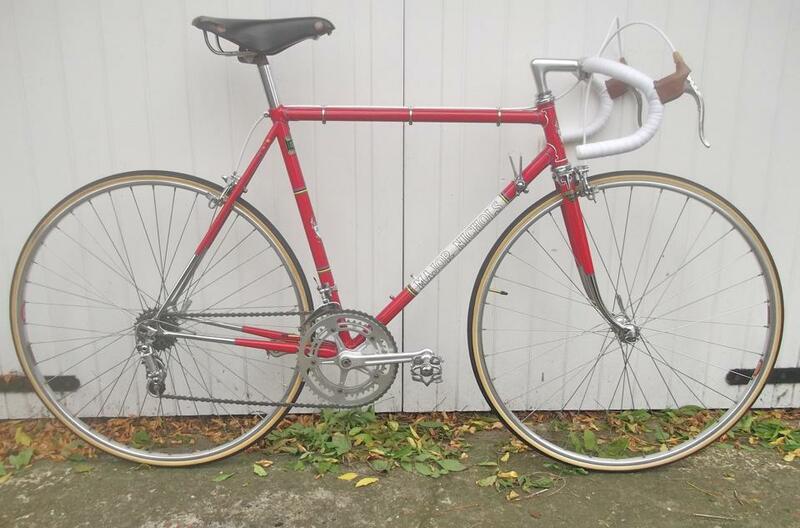 Doug Pinkerton has 3 more frame triangles from Durban Road but these need rear stays and dropouts. Interested? We are happy to put you in touch.